I wasn't kidding when I said I'm really into plaid lately. And I mean, really into it. Especially when it's a plaid flannel. It's just so cozy and soft and if it's going to be cold out I might as well be wrapped in something that evokes images of toasty log cabins, hot chocolate (with marshmallows, obviously) and fireplaces. Even if I'm schlepping around the concrete sidewalks of D.C. and Virginia, miles away from this winter wonderland I've dreamed up in my head. And, seriously, if you're interested in stocking up, Forever 21 has an amazing selection right now. As always, their prices can't be beat, and they have so many different patterns! Their cozy sweater game is also out of control right now -- in a good way -- so make sure to check that out, too! P.S. So in love with this lip color from the new Maybelline Color Elixir collection! 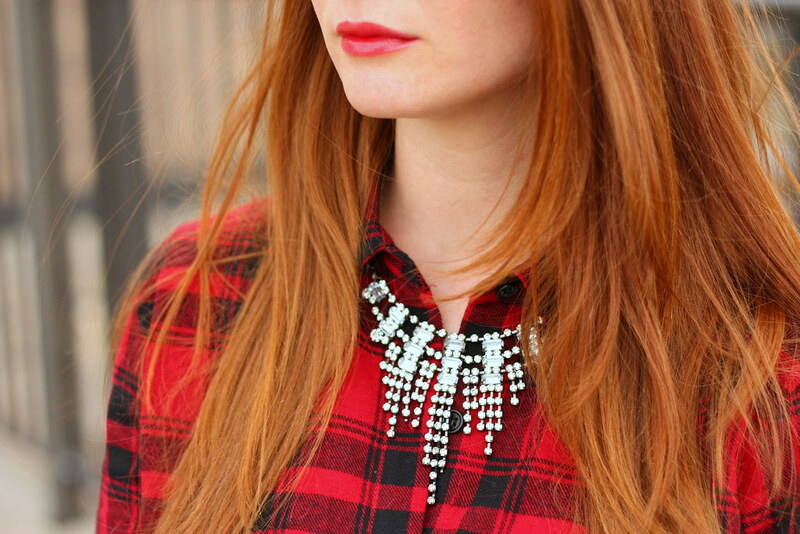 It's the perfect fall red and is a great complement to my flannel, don't you think!? Thanks to Refinery 29 and Maybelline for giving me the chance to test it out! 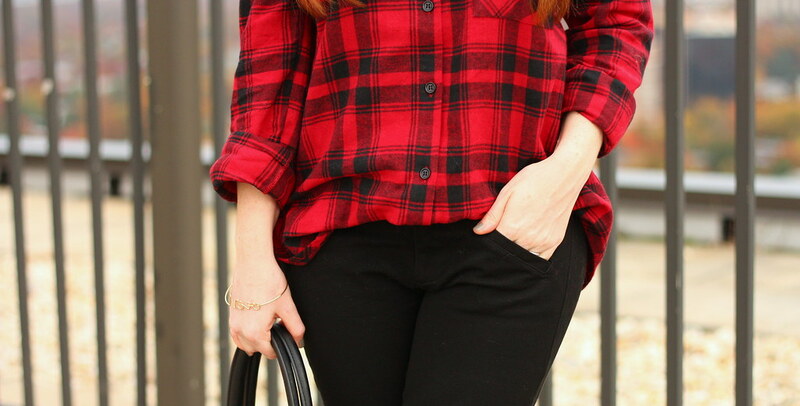 Love the plaid flannel top dressed up, but those booties! So cute! Thanks for sharing your red lip color! Will definitely be picking that one up. I haven't tried that particular type of lip product yet. You look fantastic as usual! LOVE those booties! I am right there with you! Totally having a love affair with flannel. You looks fantastic! I am all about plaid and flannel for fall! Love the dressed down flannel with the jewels and heels! Fabulous! Love that top! This is a great look for fall. Found you via the Glam network (blogger love)! Your site is so cute. Looking forward to following along! Hope you have a great weekend, lady.